You are here: Home / Introduction / What Is Motor City 911? 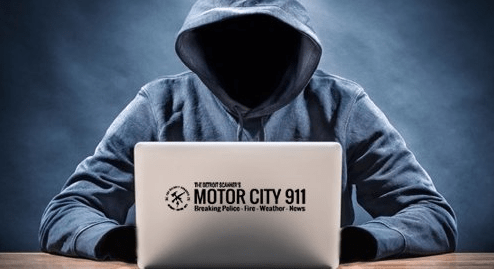 What Is Motor City 911? The mission of this social media account is to disseminate information documenting incidents involving the Detroit Police Department, Detroit Fire Department, Detroit EMS and during inclement weather, weather reports/warnings pertaining for the metro Detroit area. Information is gleamed from numerous sources including but not limited to Detroit Police frequencies, Detroit Fire frequencies and National Weather Service/NOAA weather products. While monitoring police and fire frequencies can be informational it must be remembered that information gathered through these means is often subject to further investigation. We do not have reporters on the ground to verify reports delivered by local law enforcement/fire agencies. Our information is typically breaking within seconds of the incident taking place, we do not have the luxury of waiting hours for press conferences or official press releases. Information disseminated is literally breaking at the moment. What might be reported on the ground from police units/scouts or fire companies may actually change once the incident has gone under review/investigation. We focus on major incidents including but not limited to shootings, murders, felony assaults, major disturbances, major traffic collisions and working dwelling/building fires. On occasion we’ll report on instances of national interest, typically incidents involving police and fire agencies. We are NOT a 24 hour 7 day a week news service, you’d be stretching to even call us a news service. We’re more of a community driven social media account informing the public of news that pertains to them. That’s really all this is. While the main stream media reports on incidents that have a “wow factor”, we report on the often gritty side of society. That of course is by design. Ignoring the “bad things” doesn’t make them go away.